In our efforts to support our dear friend, Michelle Oatman, Tina Wenke and Stampavie have worked together to provide the *cutest* little donkey image as a digital download. 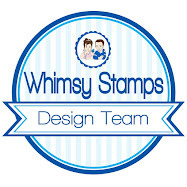 Please visit the Stampavie DT blog to find out how you can download this sweet image. In return, Stampavie simply asks that you donate $3 or more to Michelle’s PayPal fund. Thanks for your support! I have two cards today – get me lol. The first is for this fortnight’s Whiff of Joy challenge. Kim has done us a fab sketch to follow, sadly I have not done it or the image justice. I am in so much pain with my back and legs that crafting has been pretty difficult this past couple of days. I have used Oakley from the Whiff of Joy Fun in the Sun kit. I’ve coloured the image with Copics (colours below). The papers are DCWV Linen Closet. The flower was made by punching out 3 circles and assembling with a brad. My next card was done a few months ago for the latest Magnolia magazine. Unfortunately I don’t know if it has been published as I didn’t buy the magazine because Magnolia promised the DT that if they did cards for the magazine then they would be sent one. Sadly this is just one of the promises they made that they broke. So here’s the card. I used the Linen Closet papers on this card (it was when I was making the WOJ card above that I remembered I had made this card). The image was coloured with distress inks but it was so long ago now I can’t remember which colours I used. The lace border is a Spellbinders die and the flowers are from Wild Orchid Crafts. We at Stampavie would very much appreciate if you would join us in supporting our US Representative, Design Team member and dear friend, Michelle Oatman. On Wednesday evening, June 23, Michelle had an accident while tending her beloved donkeys which has left her blind in her right eye. She has shared the news of her accident in her blog post here (http://donkeysmiles.blogspot.com/2010/06/i-will-be-out-for-awhile-i-have-had.html) Michelle is an amazing stamper and is eager to be able to start crafting again. But she also has a lot of healing that needs to occur and she needs our support. We at Stampavie want to help her on her road to recovery. While we all would like nothing more than to support her in person, some things are just not possible. So besides sending cyber-hugs, we are asking for PayPal donations which will be sent directly to Michelle to help “kick” the mounting medical costs associated with her surgeries and also to help her obtain an artificial eye. To show your support for Michelle, please, please log into your PayPal account and make your donation payment, no matter how small, to the account info@stampavie.com. Tina Wenke is also kindly working on a digital download (of a donkey, of course!) so please check back here for more details on that. You’ll be able to download it directly from our blog, all we ask in return is that you donate $3 to Michelle’s PayPal fund. Michelle is a very loving and caring person and we are all lucky to call her “friend”! Michelle says that she is lucky to be married to her best friend. Together, they are parents to their 2 Toy Australian Shepherds, a cat, and their Miniature Donkeys that they raise. The love she gives her animals comes right back, as they keep her busy, entertained and happy. Now, we hope that the love she sends out to the stamping community and beyond will come back as well! Could I ask you all to spread the word about this on your blogs, Facebook, Twitter etc, the more people that hear about this the better. Thanks for your help! Oh my, I am so behind I never even managed to get my card posted yesterday for the Stampavie Challenge. So here it is today. The dots are there, promise. They are on the bottom layer of paper which is just peeking out and also on his shirt. The image is Sarah Kay “can I tell you a secret” and has been coloured with Copics (colours used below). The papers are MME Love Nest and the sentiment stamp is from Whiff of Joy. The punch is Martha Stewart Quilted Edge punch, I have popped a little pearl in the centre of each little hole in the border. The 25mm organza ribbon is from Wild Orchid Crafts, as are the flowers. I have used 15mm roses, 30mm wild rose, 40mm tea rose, gypsophila and have used a Punch Bunch punch for the leaves. I have some candy for my commenters again tonight. I have done a random draw from the comments left on today’s post and Riet is the winner of two sweet little Lili of the Valley stamps. Riet can you please email me your address so I can post the stamps off to you. I am very honoured to have been asked to be GDT for Pocketful of Posies challenge blog that is being launched today. They are being sponsored by Wild Orchid Crafts this week and the challenge is a nice easy one to start off with - “One for the Girls”. 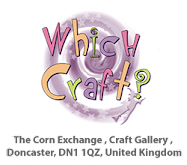 I do hope you will pop across and take a peek at the new blog and all the DT’s cards as well as join in the challenge (can’t pass up the chance of winning some Wild Orchid Crafts goodies now can you). I have combined this GDT spot with my offer for this months Whiff of Joy Tutorials and Inspiration blog. I have made a matchbook treat pouch, so that’s another teachers gift crossed of our Ben’s long list lol. I have done a step-by-step photo tutorial this month (no time to faff on with a video lol) – hope you will go and take a peek. I have used an image from the new Whiff of Joy summer kit, the sentiment is also from the kit but the ticket is from the Whimsy Stamps ticket set (they have a blank one in there which is just perfect for so many other sentiments you may have knocking about – as we all do lol). The gorge papers are MME Love Nest – love the aqua, pink and brown colours in this pad, and the flowers are from Wild Orchid Crafts. I’m heading off to work now, 2 more weeks then I am off for a fortnight – can’t wait!! This weeks Magnolia candy winner is Lindamoonbeam. Congratulations Linda, please email me with your address so I can arrange to have your stamp forwarded to you. Please include Magnolia Bride and Bridesmaid in the subject line. I've scheduled this post as I'm leaving for the Stamp Magic show at Doncaster early doors, so if you're going you will find me at the Lili of the Valley stand, I'm going to be demoing colouring with inks and Copics so hope you will drop by and say hello. I have coloured the image with distress inks and it was so long ago I don’t know what colours I used, sorry. The papers are K&Co Madelaine, the lace and flowers and crystal stems are all from Wild Orchid Crafts. My second card is for the Create4Fun challenge and i have used one of the new digi images available at Create4Fun. The challenge is another of my sketches and as I left this card till the very last minute it’s a mega quick and easy one. I can’t tell you very much about the card lol – the papers were in a little gift pack from a friend as are the sweet heart buttons. The sentiment is from Lili of the Valley and is perfect for the image. The gorgeous 25mm organza ribbon is from Wild Orchid Crafts natch and the flowers are from Crafty Feeling. This is my last DT card for Crafty Feeling, there are some changes afoot and one of them was sadly having to stand down from some DT’s. Katharina and I teamed up to design the sentiments for Whiff of Joy's 1001 nights stamp kits (Scheherazade & Aladdin). And as well all need and love sentiments, Katharina has decided to make all the sentiments available in 1 kit. The "Magical Wishes" sentiment collection consists of 9 stamps, is already mounted on Cling Cusion and comes in a CD jewel case for easy storage :) and is on sale now. Right I am off to get the housework done yuk!! Entry is by Mr Linky only. All you need to do to enter the draw is leave a link to your blog in Mr Linky so I can find you and if you fancy, mention it on your blog (that would be great, but not necessary to be in the draw). The winner will be announced on Sunday evening. And if you don't have a blog you can still enter - enter your full name in the name box and in the URL box underneath just link back to my blog http://bevscrafts.blogspot.com and keep a note of your Linky number in case you're the winner. Whiff of Joy's new City Girl collection is now on sale at Whiff of Joy – they are such fabulous images so if you want them and haven’t ordered hope over now. TGIF for sure, it’s been one heck of a week! I’ve provided the sketch for Just Magnolia this week and there’s more than one layer lol. I must have been feeling very brave (or got carried away with the layers). And once again I have done an easel card – no surprises there then. But I have two gorgeous ladies that fight over my Magnolia cards (so I land up making 2 each week) and they love easel cards, gotta keep my sweeties happy lol. I’ve used my beloved digi papers again, these are from the Bearly Mine Crafts vintage set – the colours are just so delish! I have coloured Midsummer Tilda with distress inks and have added lots of Stickles Stardust to her dress, the edges of the papers and around the image. The Sparkle sentiment is SU, the the Believe sentiment is from Whiff of Joy 1001 nights kit. The gorgeous border punch is a Multishaper – this one is called Martha. I have only used it to punch the border but it does so much more (I just need to find the time to play and experiment so watch this space). The gorge flowers are all from Wild Orchid Crafts, I have used the Classic Sweet Roses, Wild Roses, 20mm roses, 10mm roses, rosebuds and stamens. I absolutely adore the Classic Sweet Roses, oh my they are so pretty and really make a statement without overwhelming the card. Right that’s it for me today, I am dashing out to work now yuk! Oh I am ever glad it’s Thursday – one more day of slog and grind tomorrow then it’s weekend and two days of pleasing myself. I wish those lottery numbers would come up (and I bet the rest of you all wish the same thing lol). Today is Lili of the Valley Challenge day, and we’ve a fabulous sketch by the lovely Dawny P to work to. And me being me I had to tweak (only a little this week lol – just the sentiment). I have used the gorgeous digi downloads from Nitwits. I am so loving the digi papers that are out there now, it almost seems sacrilege to buy printed papers now. I have used the stamp Tea Party for today’s card, coloured with distress inks and glammed up with a bit of Stickles. The sentiment is also from Lili of the Valley – loving that font. I’ll be back later this evening to draw the winner of my candy. I have coloured the sweet image with distress inks, and have only used Tea Dye and Vintage Photo for the body, Antique Mahogany for the ears and cheeks and a dab of Shabby Shutters and Scattered Straw for the dandelion. The flowers are natch from Wild Orchid Crafts, I have used 10mm roses, 15mm roses, 20mm roses, Classic Sweet Roses and cherry blossoms. And of course the 5mm rosebuds that just seem to pull the little arrangement together. The sentiment is from Simon Says Stamp Sending Sunshine stamp set, I think it’s just the perfect sentiment for this image. The papers are a Nitwit download and the gorgeous 25mm organza ribbon is also from Wild Orchid Crafts. Thanks so much for stopping by today, don’t forget my candy closes tomorrow and the City Girls 2 go on sale at Whiff of Joy on Friday. I have used Basic Grey Capella papers again (the pad was still out on my desk from the weekend), and have coloured the image with distress inks. The punched border was done by using just the corner punch off the ATP set. Love the effect. I have stitched around the papers after distressing then applied Stickles for a lil bit of bling. The flowers I used are 15mm and 20mm roses that I have spritzed with Glimmer Mist that I mixed up myself to get the colour to match the card – unfortunately it don’t look good in the pictures but is a perfect match in real life. The sentiment is from an old Anna Griffin set that I got from QVC. That’s all from me today, don’t forget to enter my candy draw if you haven’t done so – the link is in my side bar. Today I have another sneak peek from the new City Girls release from Whiff of Joy that is going on sale on 25th June – not long now girls. I have used Business Willow (I think that’s her posh name) and teamed her with Basic Grey Capella papers. A close up of the flowers which have been die-cut with Nestibilities. I stamped some aqua card with a Hero Arts Cling Friends Definition stamp (this is such a useful stamp, espesh for flowers) then inked around the edges and popped a pearl brad in the centre. There is a tutorial here for the shabby chic flower, just using a different die. I used the gorgeous 25mm organza ribbon from Wild Orchid Crafts, love this stuff lol. The image was painted with Distress Re-Inkers. The sentiment is from Whimsy Stamps and I’ve distressed around it with Walnut Stain ink. Okay so if you’re still with me I have some candy to give away – Katharina sent the DT a stamp to give away from the new collection, and to this I have added some charms, spacers and a pile of flowers (Prima, Poppicrafts and Sarah’s blooms) and also snuck in a Slot punch from Stampin’ Up. These are are hard to find as hens teeth and will be even harder now they have discontinued them :( When I discovered this I promptly got my fab mate in the US to get 4 for me (2 as my spares and 2 to give away as candy … so there is still one more to give away at a later date). Entry is by Mr Linky only. All you need to do to enter the draw is leave a link to your blog in Mr Linky so I can find you and if you fancy, mention it on your blog (that would be great, but not necessary to be in the draw). The winner will be announced on Thursday evening 24th June.